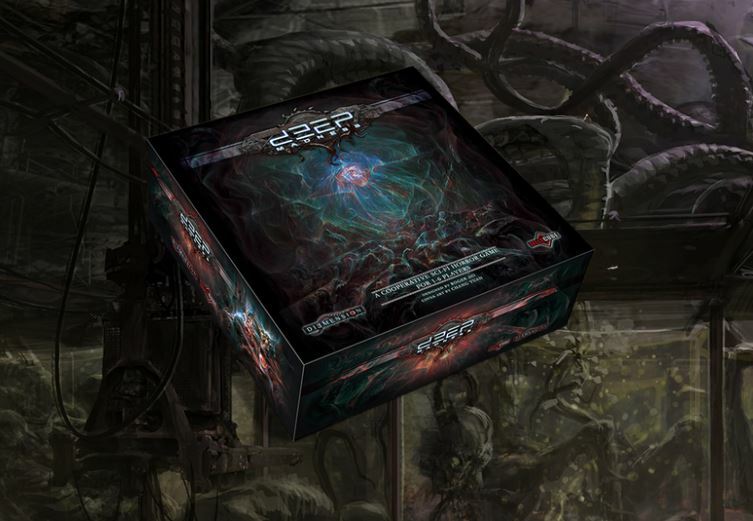 Last year, Dimension Games ran a Kickstarter project to fund a sci-fi horror boardgame called Deep Madness. It’s a co-operative game where the players form a team to investigate why a company has lost contact with a deep sea mining platform – think of it as The Abyss meets Half-Life meets Event Horizon with a large slice of Lovecraft thrown in for good measure. The project raised over $1.4M and was backed by over 9,500 people. The pledge manager for this project has recently opened, and they are allowing late pledges for the game. Whilst the gameplay looks really interesting, the stand-out feature of the game for me are the models, which look great – in so much as they look nasty and horrible. There are plenty of them in the game, and you can see easily these stalking a wargames table as well as the board they were designed for…and if the miniatures are as good as what we have seen so far, they should also give the opportunity for some pretty gruesome paint jobs. The base game now has 163 miniatures in it, including several exclusives, and one of the expansions does include the Dagon, as well as some Deep Ones, to keep all the Lovecraft fans happy. The pledge manager is open until the 22nd April 2017, so you still have plenty of time to decide if you want to back this project. Full gameplay videos are available on the website, as well a digital copy of the beta rulebook. The game is due to be delivered in November 2017 – I’m really looking forward to it.